1. 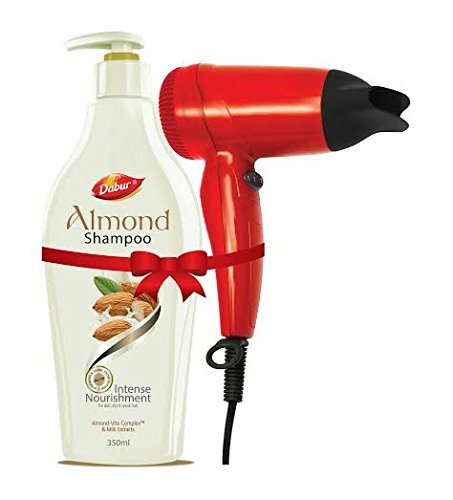 Get gorgeous looking hair by using the Dabur Almond Shampoo. 2. It is an intense nourishment for dull, dry and weak hair. 3. It is enriched with natural ingredients that eliminates the oil imbalance. 4. This shampoo nourishes hair and strengthens it from root to tip. 5. This shampoo also acts as an anti dryness treatment for your hair preventing it from damage. 6. With regular use, it will reduce breakage and hair fall, leaving a soft and shiny feel behind.